I have about 37 different “favorite parts” of knitting. I love picking out yarn, I love casting on, I love binding off. I love trolling Ravelry for the perfect pattern, and I love deciding that Ravelry doesn’t actually have the pattern I’m looking for and deciding to go my own way. I love getting deep into a big swath of stockinette or garter stitch, and I love carefully picking my way through fussy little lace. But my current (and by current, I mean “this morning.” It could change by this afternoon) favorite part of knitting is getting my yarn ready for knitting. I just spent a quiet hour with a podcast, a cup of coffee and my yarn swift, turning these squishy, gorgeous skeins of yarn into usable little cakes. There’s something really meditative about spooling up skeins of yarn. 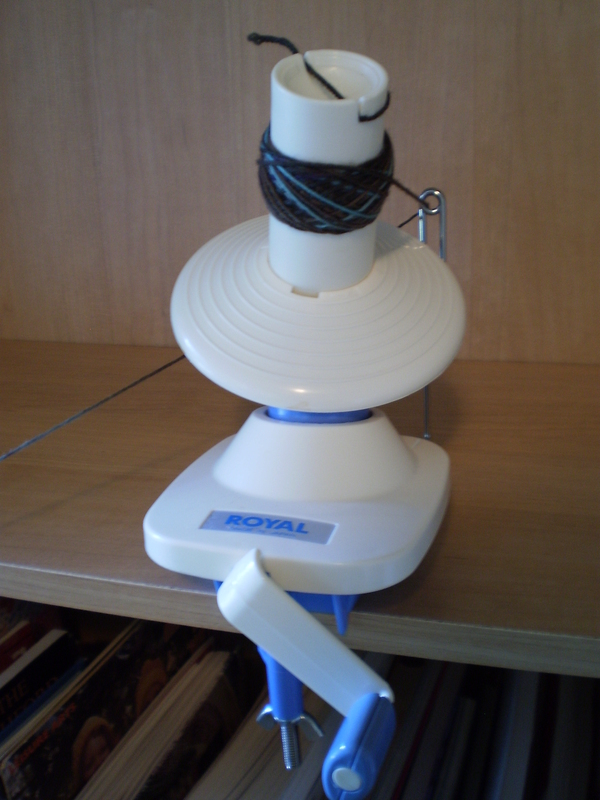 Watching the swift spin faster and faster, and the yarn zoom around the ball winder is very calming to me. Something about getting everything set and prepped and ready to be used is so satisfying. It feels like the first day of a new school year- all that promise. Only instead of new notebooks and pencils in my Jansport, I’ve got all that lovely yarn stashed away in my knitting bag and the perfect set of needles ready to go. I can’t wait to get knitting with this yarn. I’m sure I’ll get frustrated with this project at some point (I’m guessing at about 60% completion), but right now, I couldn’t be happier with it. What’s your favorite part of starting a knitting project? This entry was posted in On My Needles and tagged skein, swift, yarn, yarn cake, yarn swift on September 24, 2018 by onemilljellybeans. I want to show you one more way to wind a ball of yarn. This one’s easier, but it takes a bit of hardware, so it may or may not be right for you. 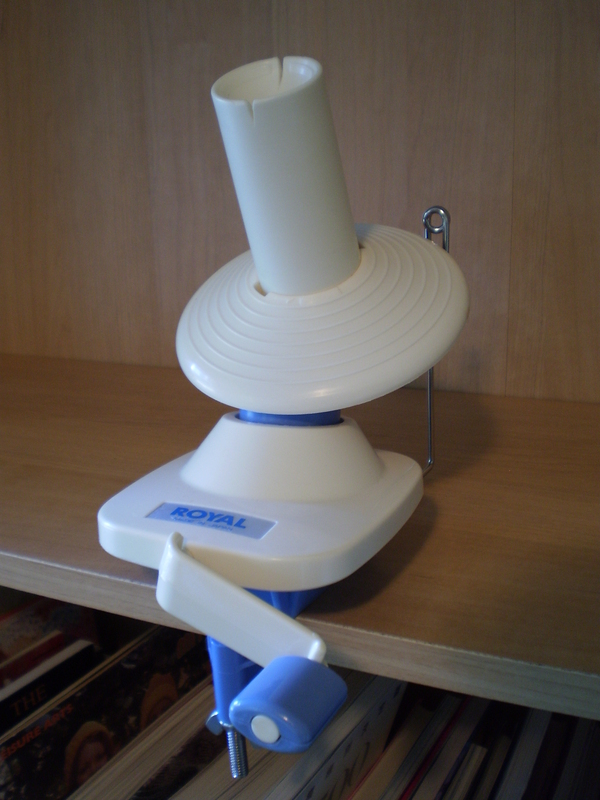 This is a ball winder. They cost about 45-50 bucks, depending on the brand, which is a little pricey. If you wind a lot of yarn, it might be a worthwhile investment. If you only go through a couple skeins of yarn a year, maybe not. If you don’t want to invest in one for yourself, see if your local yarn store has one available for customers, sometimes they do. Mine screws to the edge of a bookshelf or table. I’ve seen ones with handles that you can hold, but that seems like it would be awkward to use, since I don’t have three hands. When you have your ball winder situated, thread your yarn through the little metal eyelet, and attach the end to the slots at the top of the winder. 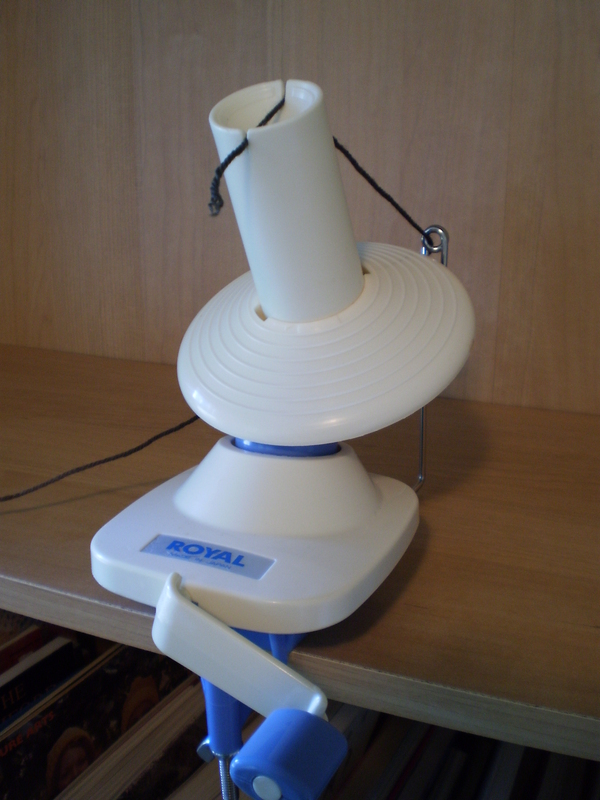 Then start twirling the handle and watch the yarn start to wind itself into a ball. Turning the handle spins the top part of the winder, which, in turn, winds the yarn into a perfect cake. Keep going, and watch the yarn build up. Ooh! Aah! 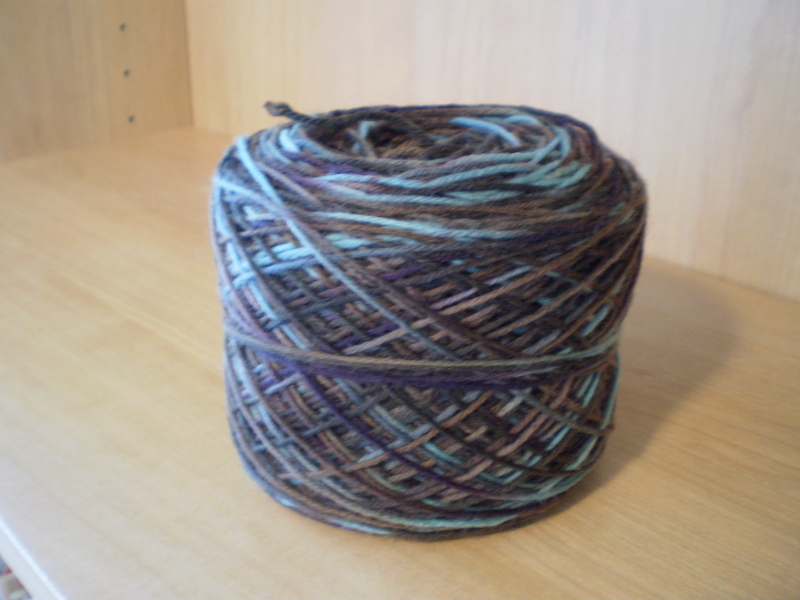 Once you have wound all the yarn, wrap the end around the outside of the cake a couple times and tie off the end. 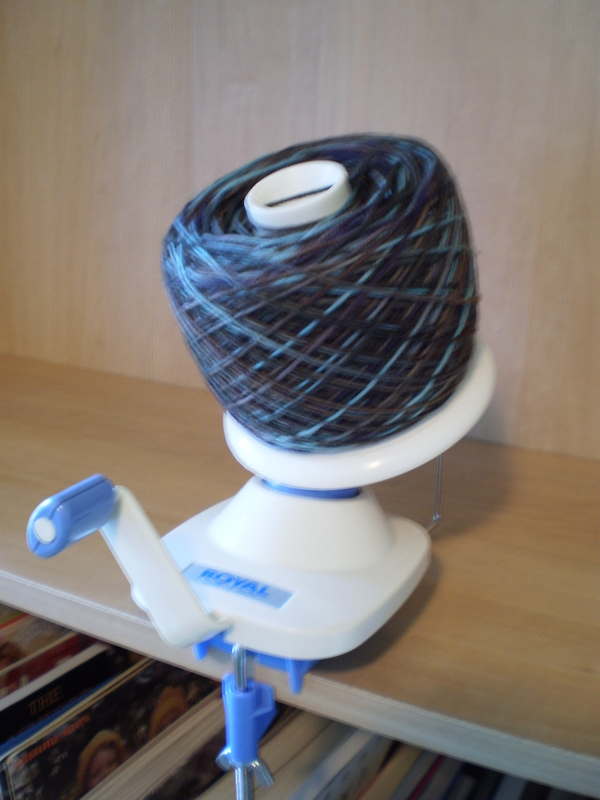 Pull the cake from the winder, and you’ve got yourself a perfect center-pull ball of yarn. This entry was posted in Techniques and tagged ball, ball winder, cake, crochet, fiber, hank, knitting, preparation, skein, wind, yarn, yarn cake on April 23, 2014 by onemilljellybeans.